Solvis is pleased to announce our 2nd Social Media and CRM Seminar - August 10, Mexico City. For more information go to our seminar site or see the widget below. 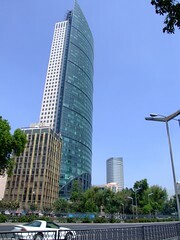 Solvis Consulting will offer a Social Media & CRM seminar on July 28th in Mexico City. The seminar is an all-day workshop where participants will learn how to implement a practical social media plan from the CRM point of view. We will discuss how social media is a critical part of CRM and how it impacts marketing, sales and customer service. Cost: US $500.00 - includes breakfast, coffee breaks, lunch and parking. Additional Offering: Solvis will provide a Social Media and Conversation Analysis for your company. We are offering a 50% discount for this service. Retail price is US $1000.00. If you are a participant of the seminar your cost will be US $500.00. For more information visit our seminar page (Spanish). Note: we recommend EventBrite for your online and offline events. We plan to offer more dates and locations in the future. How Solvis can help with your CRM initiatives? Social CRM Strategy. We can help. Don't know where to start with your Social Media initiatives.We can help. We have developed a Social Media methodology with a CRM focus that will help you identify opportunities to engage customer that are already having conversations about your brand or company in the Internet. Our social media analysis takes into account conversations in the different Web 2.0 mediums and channels, your digital and search marketing efforts, your main media and PR efforts, and your current CRM strategy. We can help your company be part of these conversations and use your existing infrastructure (i.e. call center, web team, marketing team, etc.) to have engage customers in order the acquire and retain them. We can help turn social media conversations into interactions and transactions - leads, opportunities, claims or customer service cases - to help your company be more engaged with your customers - customers that are using social media. Contact us for more information to see how we can help with your Social Media strategy. Take a look at this post - Social Media Maturity Model: 30 Posts, 30 People, 30 Day, by Joshua Weinberger (Managing Editor, CRM magazine). He is conducting an interesting experiment - discuss and create conversations in 30 days about a proposed Social Media Maturity Level. The participants of the discussions are a roster of CRM and social media all-stars, plus your comments - great idea by destinationCRM and Joshua Weinberger - crowdsourcing in action! 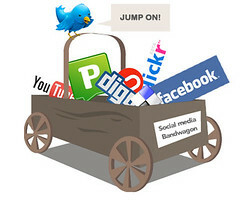 The conversation already started - see this post by Michael Faoscette - Social Media Maturity Model: The Conversation Begins. We will be updating this post's comments with every conversation from this experiment. We believe that Social Media (Social CRM or CRM 2.0) is still evolving but with the different contributions from PR, CRM, Advertising, Marketing, Sales and Customer Service folks, and most important, the contributions from consumers. The Social Media Maturity Level takes all of these contributions into account, but let's see how it evolves in the next 30 days. Miami is well known as the hub for doing business in Latin America as well as the center for many Latin Americans to shop at the many stores in South Florida. It is well known that many Colombians travel to Fort Lauderdale over a weekend to buy for special occasions. Many Mexicans shop at Miami malls during Thanksgiving, especially on the famous Black Friday. This trend is evolving, since many Latin Americans have U.S. forwarding mail boxes in order to shop at Amazon.com or Target.com. For example, they purchase a Wii or Playstation using a Miami address and once the shipment gets to Miami, it is then forwarded to the final destination in the region. One clear case is also the customer experience, I know many of my friends shop online at Victoria Secrets or Bath & Body Works, and are anxious to have local stores in many of the countries to be part of the in-store customer experience. There are more than 1,500 friends in Facebook requesting that Victoria Secrets opens a store in Puerto Rico. What this means for your business? It means that your online and brick-and-mortal strategy needs to include the differences of targeting Hispanics and Latin Americans. Differences? Yes. Targeting Spanish speaking customers is not only about messaging and branding, but about segmentation, targeting, execution and campaign follow up (and the Long Tail). Your on-line and off-line campaigns should be appropriately versioned to different Hispanics or Latin American segments. Spanish speaking audiences are not identical and geographic differences play a large role among the different audience groups, such as cultural traditions, country of origin, and the Spanish language. The challenge is the diversity among all the Latino audiences. This can make it very difficult to achieve your marketing goals, especially if your company does not understand this diversity. The diversity gets complicated when you need to understand that it is the same language but different cultures, Latin Americans living here with work visas vs. 2nd or 3rd generation of Hispanics, bilingual vs. "Spanish only" as the main language, tourists visiting, or simply anybody from any country that buys on-line. Each country or Latino group has its own identity and with their own nuances. You even have regions within countries that have differences in lifestyles and industries, such as Mexico City and Monterrey, or Buenos Aires and Cordoba. Puerto Ricans in New York have differences from Cubans in Florida or Mexicans in Chicago. Many companies have taken the blanket approach of using the “Se Habla Español” strategy. Who are you targeting when you use this approach in your direct mail, email marketin g, web site, store and call center? --- If your business is using the “Se Habla Español” marketing strategy, are you targeting 2nd generation Hispanics, Latinos traveling to the States, Mexican or Argentinians living in their respective countries, Puerto Rican living in the States or the island, or John Davies, Hispanic living in Miami? --- I used to get many promotional emails from a major hotel chain in both Spanish and German. I figured out that I was getting the Spanish email since my first name is Jesus, and the German emails since my last name has its roots in Germany. I also get many Spanish promotional materials at home, but I rather get English promotions, but as of today, nobody has asked me my preferences. They are assuming that I want my promotional materials in Spanish. It is a mass marketing strategy. “Se Habla Español” is a mass marketing strategy. One size does not fit all Spanish speaking customers; there are distinctions in marketing all Hispanics (in the United States) and Latin Americans (from México to Argentina, including Brasil). During the last few years, Solvis has participated in many CRM production support engagements with different types of CRM systems and in different industries. We have the capabilities to provide CRM Production Support services in United States and Latin America. We follow industry standards such as ITIL, Project Management Institute and Change Management procedures. Our services include remote and on-site support for both functional and technical activities. Other technologies where we can also help: Siebel, Oracle, DBA and BI. How Solvis can help your company? Contact us. We can help identify your production support needs with our Business and Technical Assessment - it is a 2-day free assessment that will cover 8 tactical CRM areas, including your CRM technical solution. Based on this assessment, we will give you options to help you with your productions support needs. Defining Social CRM... our thoughts! Is Twitter Social CRM? Nope. Not only these industry leaders (Jeremiah, Paul and Brian) have good insights, but many CRM and Social Media vendors are starting to integrate their applications -- Neighborhood America and Microsoft, salesforce.com ServiceCloud and SAP/Business Objects integration of Business Objects with Twitter (many CRM vendors are starting to provide Social Media interfaces and communities within their solutions). Plus many Twitter apps like CoTweet are HootSuite are now providing CRM functionality. We see Social Media as additional channels to manage the customer besides your traditional CRM channels: bill statements, web site, chat, call center, email, etc. The only difference is that within the Social Media channels you have no control. The customer controls the interaction and the conversation. However, you still need traditional CRM to manage transactions and interactions based on those conversation within the Social Media channels. Traditional CRM and Social Media are in a process of convergence - your company will need to figure how to manage all these channels to engage the customer effectively. Your CRM platform and strategy must be in place in order to manage the processes, people and technology needed to manage customers via Social Media channels. We will be blogging the webminar both in Spanish and English. Our last thought... CRM has always being social. However, in the past companies had control of the traditional channels, now the customer is in control of the Social Media channels making CRM more visible to the "social customer". Don't know where to start with your next CRM initiative? Solvis can help your company in many ways, from educational programs to CRM strategies, and from software selection to the implementation of technologies, processes or change management. The three main types of services we offer to help you with your CRM needs are: education, strategy and implementation. All three services are designed to provide quick implementation of your customer retention or acquisition initiatives. If your organization is a small business in United States or Latin America, don't worry, we have different versions and options of these services based on your budget. At Solvis we have experience working with small companies, enterprises and holdings, as many organizations are looking to integrate their CRM synergies with technology and processes. We offer 2 types of educational seminars where we can bring our CRM experts on-site. During the past few weeks Jesus Hoyos wrote a series of posts about how to improve your CRM initiatives in the areas of marketing automation, campaign management, sales and customer service.You will find "call to action" recommendations that you can implement anytime during 2009. Oracle, SAP, Microsoft, SugarCRM, Salesforce.com, Aplicor and many other CRM packages now offer multiple options of CRM software to choose from. You have single-tenancy vs multi-tenancy, open-source, and SaaS vs OnPremise options. Within each vendor you have different options regarding modules and functionality. The good news is that you have choices based on your requirements, needs, priorities, IT policies and budget. We at Solvis can help you decide which CRM vendor (software package or service) you need. We have a Software Selection Methodology that looks into processes and functionality that will help your business (small or large) select the proper software. Our methodology offers quick steps to make decisions. We can start with a short or large list of vendors, and we can offer proof-of-concepts and pilot programs for your implementation. No matter what your software needs are, we can help your business select any CRM vendor: operational, analytical, collaborative and interactive - from call center to marketing automation and from SFA to customer service under any model: SaaS or OnPremise. Depending of your business needs, some of the above steps are optional. We can also work with your software or implementation vendor in developing the proof-of-concept and pilot (quick win), before any major implementation. Time frames also depends on your business needs, but we can help you select software solutions from 5 to 8 weeks, or, we can just help you make a decision if you already have a short list of vendors.